When you consider a vacation rental in Hawaii, for instance, what's one of the main things you want? To be close to the beach, right? You want easy access to the main reason you came to the islands in the first place. And so that's what you pay for in Hawaii. In Las Vegas, it's an entirely different thing. Why are you coming to Vegas? The Strip, right? So you want to be close to the action so your driving time is not too far away. But unlike Hawaii where you can get a home on or near the beach, there are no homes on The Strip. They are all in Las Vegas suburbs and some are very far from the reason you came to Vegas. 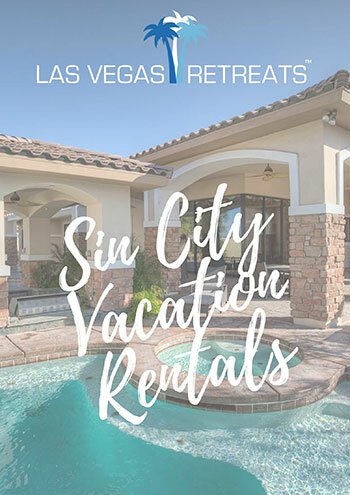 This is where working with a someone who specializes in Las Vegas vacation rentals offers the best advantages. Unlike AIRBnB and Homeaway, a specialist has already done the homework for you. They offer nothing but homes that are optimally located and setup for use as a vacation home. They're close to the best of Vegas (that's why they were chosen) and generally speaking, offer more than just a place to stay while in Vegas. You may spend a little more than the cheapest thing on VRBO, but for most people, having a home that enhances their stay is an obvious advantage. Whichever you choose, we recommend shopping wisely and paying close attention to where your potential rental is. The Las Vegas valley is a big place. Make sure you're as close as you want to be and that your home is not the end of your enjoyment!